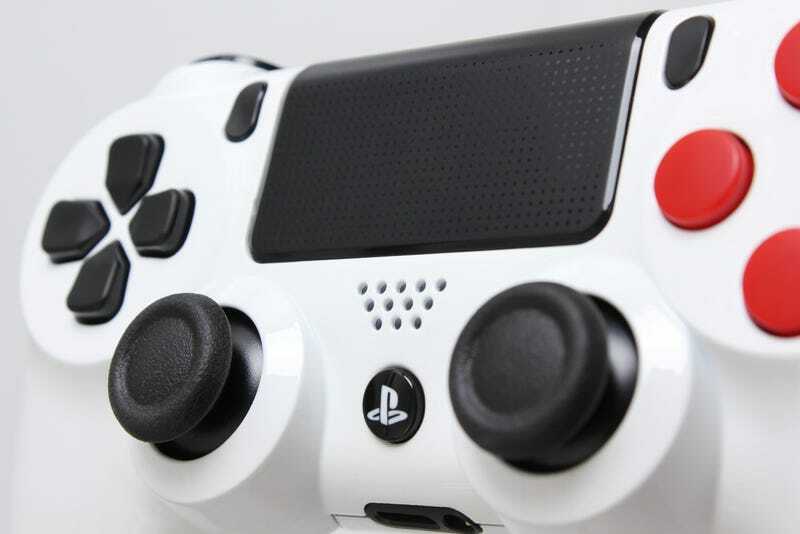 At least at launch, Sony is playing it safe with its DualShock 4 designs. You can get them in black, black or black. But if you want to get something a little more adventurous, there are still options. Evil Controllers, having already got hold of a batch of the new pads, have customised them and will be putting them up for sale. I could live without those busier designs, but the simple ones (like the white, and especially the white Nintendo-themed one up top, which sadly doesn't seem to be for sale) look fantastic. There's a catch, though: being custom jobs, you're going to pay, with prices ranging from $90 to $110.